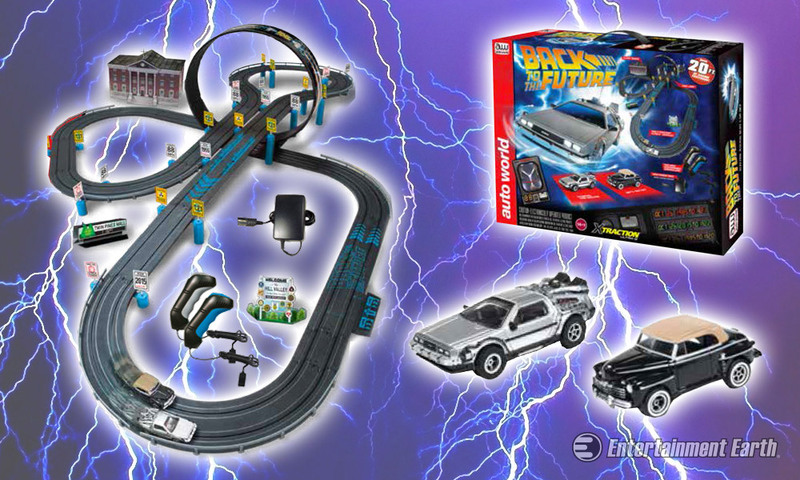 Get ready to go back in time with this awesome new Back to the Future Slot Car Race Set. Now you can relive all of the excitement of time travel as you race against Biff on this huge 20-foot track. It is Marty McFly’s DeLorean Time Machine against Biff Tannen’s 1946 Ford. Who will win? This set comes with 20 feet of track that features multiple curves and a time loop. It also includes a Clock Tower cardboard building and road signs. I guess you’ll have to include your own lightning and do your best to reach 88 MPH. 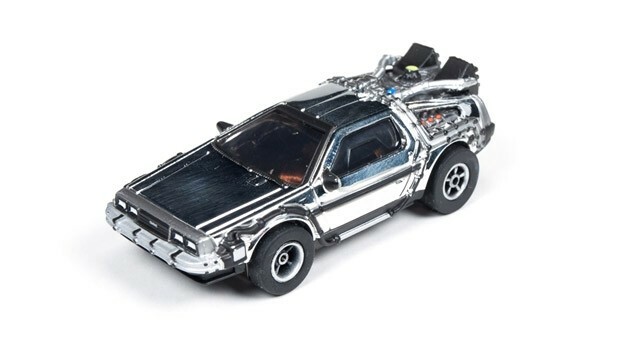 Its maker, Auto World has been making a chromed-out DeLorean slot car for a while now, but this is the first time there’s an entire BTTF set on the market. The set is going for $139.99(USD) from Entertainment Earth, and ships in January 2016. Roads? Where we’re going we will need roads.